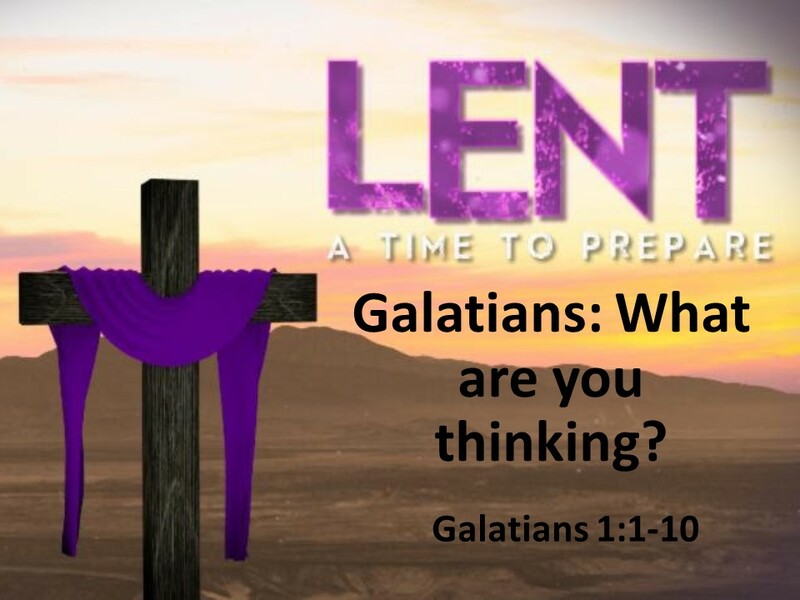 We’re entering the season of Lent. Early in church history, this was a traditional time of preparation for those desiring to be baptized on Easter Sunday. There are six Sundays during this season and this year, to compliment the class that I’m teaching on Galatians on Wednesday night (which you’re all welcome to join), I will be preaching on text from the Epistle throughout the season. In preparation, let me tell you a bit about this book. Paul writes this letter to a group of congregations. There is debate, however, as to how many and just which congregations he’s addressing. The Galatians were Gauls, people of Celtic origin, who moved in ancient times into Central Asia Minor (think present day Turkey). 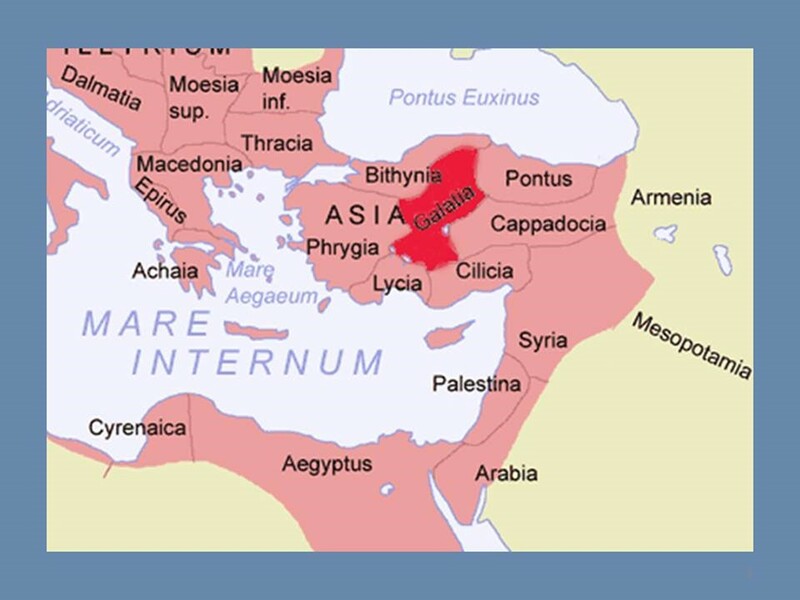 However, there was also the Roman providence of Galatia that extended beyond the Galatian ethnic boundaries and included churches in the south in which we know Paul and Barnabas visited and helped organize. But that’s a sidebar. For our purposes, what’s most important isn’t to whom the letter is written, but the issues Paul addresses. Paul writes out of concern of false teachings and ideas circulating within these churches. It appears some other missionaries have come in behind Paul, telling the people that they aren’t doing church right. Gentile converts dominated the membership in these churches. These folks left behind their pagan ways, and are now being told they have to do more to earn their grace. Paul blasts these “agitators” for perverting the gospel and demanding these gentile converts to adopt the Jews ways. In Galatians, Paul reiterates his beliefs. He summarizes the gospel of grace, informing the Galatians what they should believe and how their lives should reflect God’s mercy. READ Galatians 1:1-10. 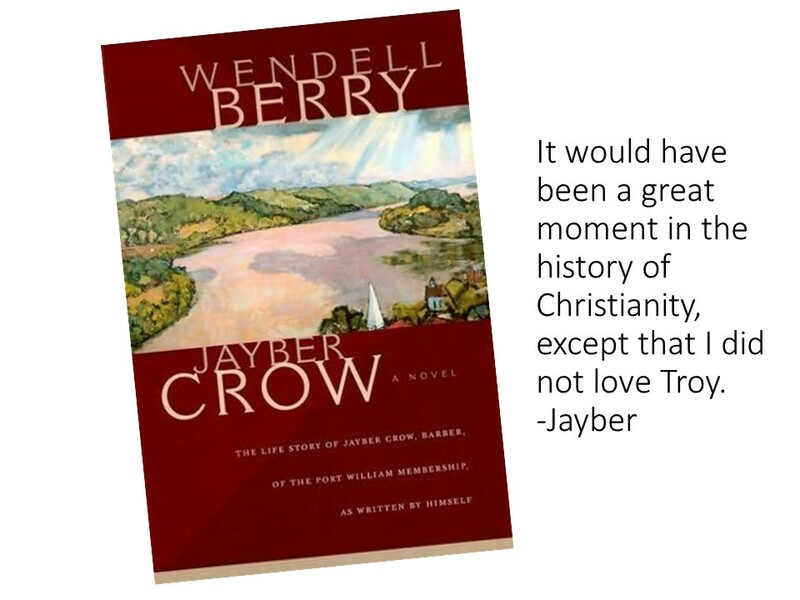 One of my favorite novels by Wendell Berry is Jayber Crow. Jayber found himself in Port Williams, Kentucky, Berry’s fictional town, in the late 1930s. He sticks around, becoming the town’s barber. But earlier in his life, Jayber had considered the ministry. He gave it up after he found he had too many questions. Even though his questions remain, in time be begins to serves as sort of a pastor to many in the town, especially the men, who find comfort and a listening ear in his shop. But with such a position, he also finds himself occasionally in a situation where he has to rebuke someone. It’s never pleasant, but sometimes is required. Have you ever been in a situation where what is being said goes against what you know is true in Jesus Christ? If so, do you stick up for your faith? It’s hard, but do you try to explain why Jesus offers a better way? Yet, such rebukes must be done with humility and not superiority. “I didn’t love Troy.” At least Jayber is honest; he knows his faults; he confesses his sin. Although he may not quite be there, Jayber is striving and certainly has a vision of how love and graciousness are necessary components to any correction offered to another soul. Rebukes are best done in love. Paul has a problem. He’s got to get these folks in Galatia back on track. 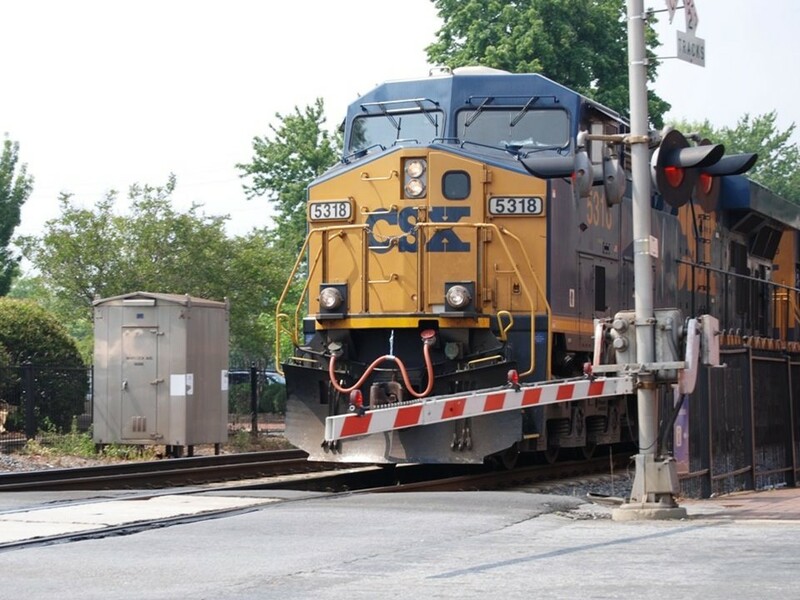 They’ve turned onto a siding that’s going to end in disaster if they don’t get back on the mainline. So he writes this letter to refute the teachings of the false preachers whose work within these churches have caused confusion. Paul cares for the people in Galatia, but he has little care for those who have stirred up the mess he’s addressing. Paul begins by claiming his credentials for writing such a letter. He declares he isn’t sent by a human commission (although he was commissioned by the church in Antioch to be a missionary). Paul claims to be an apostle sent by Christ through God the Father. Paul’s authority is divine. He’s working to share the message of hope that comes from Jesus Christ. Paul is first in a long line of clergy and Christian leaders since, who have been commissioned to do God’s work and who ultimately must answer not to those who have commissioned them, but to God, for their work and actions. As Paul often does, in his opening, he calls upon the grace and peace of Jesus Christ to be with the church. But here Paul’s goes into more depth. In his other letters, Paul generally moves on after expressing God’s grace and peace. Here he digs in, noting that Jesus has given himself for our sin to free us from the present evil age… All of this is done according to the will of our God and Father, to whom be the glory forever. At the beginning of this letter, Paul provides insight into why he’s writing and from what authority. The churches in Galatia have a problem. In Verse 6, Paul essentially says, “What are you thinking?” In many of his other letters, Paul at this point in his beginning gives thanks for those to whom he’s writing, but here Paul goes straight to the problem. The churches of Galatia are abandoning the grace found in Jesus Christ. For another gospel, Paul writes. And then, as if Paul realizes what he wrote, clarifies himself, noting that there is no other gospel. There is no other good news to be found, except in Jesus Christ. But you know, we’re not that different from the Galatians. I remember learning to play baseball. It’s the same with golf and tennis. You have to keep your eye on the ball. Keep your eye on the ball, just as with our faith, we have to keep our eye on Jesus. Thankfully we worship a merciful God who is willing to forgive, for if our salvation depended just on us, we’d be in a heap of trouble. In thankfulness for God’s mercy, keep your eye on Christ, keep him in the center of your life. Ultimately, what matters is that we please him. Amen. Ronald Y. K. Fung, The Epistle to the Galatians (Grand Rapids: Eerdmans,1988), 1. Wendell Berry, Jayber Crow (Washington, DC: Counterpoint, 2000), 287. For example, see Matthew 24:9-14.